Now that the spring season is here and in full effect it’s time to embrace it. It’s time to celebrate the beauty and essence of spring. 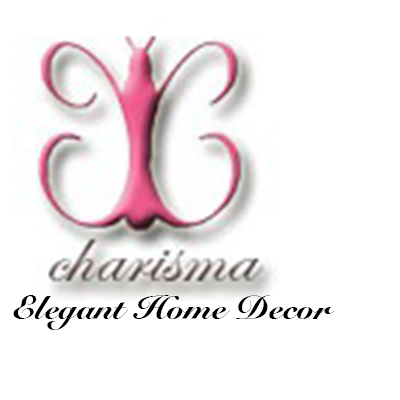 What better way to do that then with decorative home decor. The great thing about utilizing home decor in the spring time are the endless possibilities. You can select many themes. You can choose from several looks and styles. 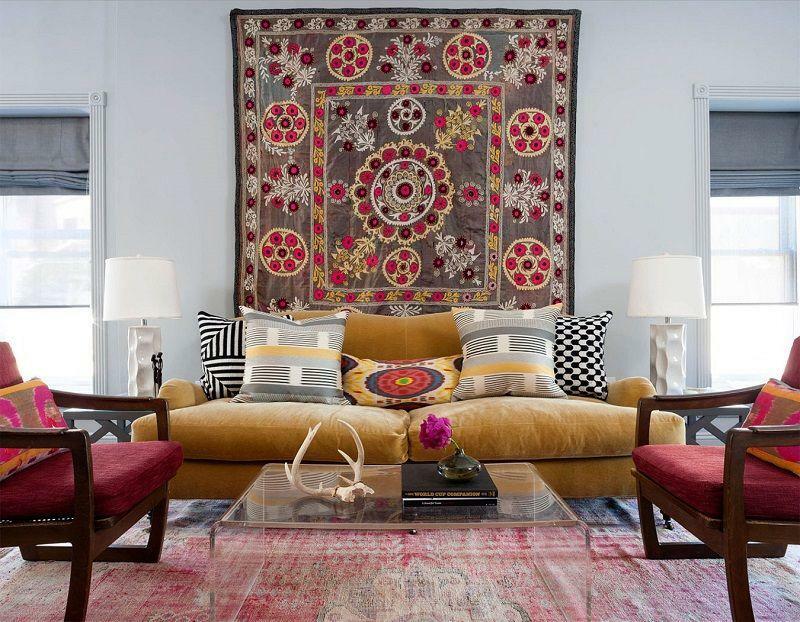 One of the best ways to allow home decor to flourish with the aura of spring is with artistic home decor design. The amazing thing about artistic home decor is the ability to incorporate your own unique style with your interior design. This is why diy decorating is so popular amongst home decor lovers. DIY decorating allows you to bring your bring your own personality into your living quarters like never before. Here are 9 easy, diy home decor ideas for creating spring crafts. One of the easiest diy home decor crafts to create for the spring are decorative vases. Decorative vases are elegant, sensual and beautiful accents that truly compliment the spring season. They’re perfect for diy crafts due to the fact that you can make them out of just about anything. Any item that’s has shape, a base and can hold another item in it can be transformed into a vase. A diy home decor vase doesn’t have to be 1 style or material. There are multiple resources that can make a decorative vase. How you create the vase specifically for the spring depends on how you design it in the end. 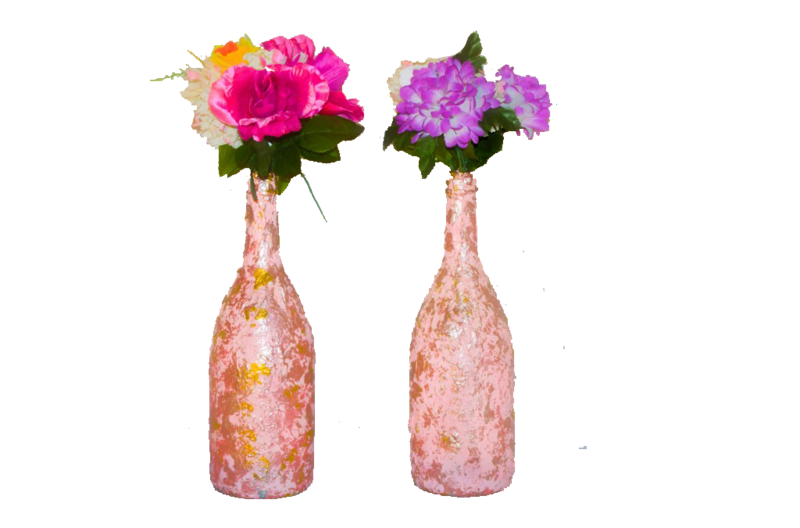 A fun and easy diy vase that would be perfect for the spring season are flower glass vases. Using a mason jar or an old glass are great examples of how easy recycled crafts can be transformed into a luxury home accent. Simply take a mason jar or glass cup of your choice and decorative the base. Add dirt or pebbles to the bottom of them. Then add you favorite flower bouquet. You now have your own unique diy home decor vase. However, it doesn’t stop here. Below are a list of many items that can be designed into a lovely vase. 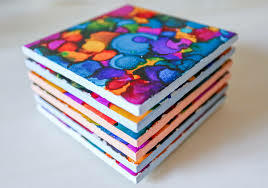 A gorgeous, handcrafted diy coaster set topped with the perfect design that exhibits the essence of spring. Artistic inspired, handcrafted picture frame great for wall decorating and spring styling. Another great diy home decor craft to focus on during the spring is diy wall art. 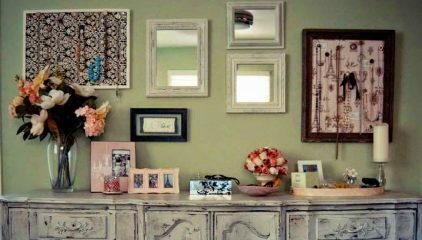 Diy wall art is perfect for spring design because it can instantly set a cool, breezy, intimate tone to your home. During the spring season many home decorators focus on their walls anyway. If you want to combine your love for artistic home decor and the spirit of spring, why not focus on your walls? Whether you want your main attraction to be wall paper, wall paintings, decorative wall picture frames or a spring wall collage. 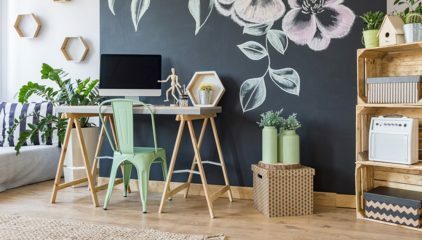 Whatever option you go with designing your walls are a great way to utilize your diy home decor skills. 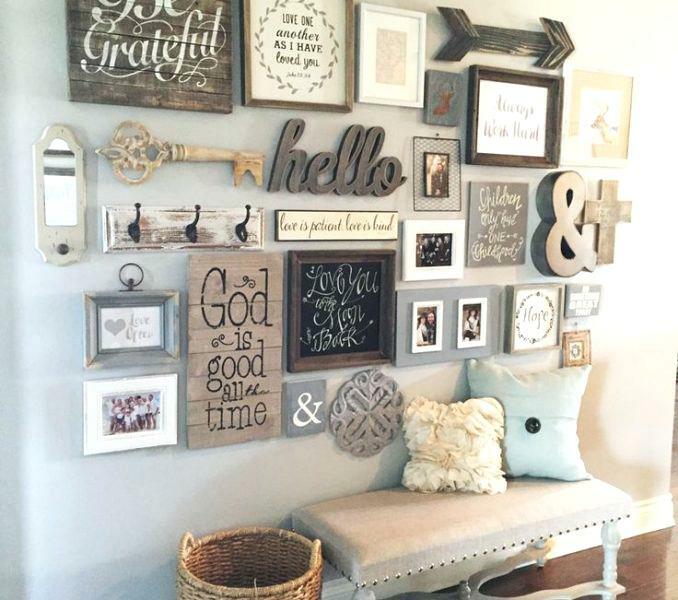 One of the easiest diy wall art project to complete are handcrafted wall frames. Simply go to your nearest craft store and purchase bare picture frames that can be hung on your walls. Then purchase whatever accessory you want to use to top it. It can be paint, ribbon, gloss, etc. Use the accessory to cover your frame, then hang you frame. You now have a custom, artful picture frame that can also be used as diy wall decor. When many think of decorative throw pillows they think of lavish options purchased at Pottery Barn or Wayfair. However, an easy diy craft to make is your own custom throw pillow. If you want gorgeous, spring designed throw pillow that has an unique presence try creating your own. To achieve this project simply purchase fabric, sewing needle, sewing thread, pillow stuffing and whatever accessory you want to add to your throw pillow. The accessory you decide to go with will ultimately determine if you pillow have a spring design or not. 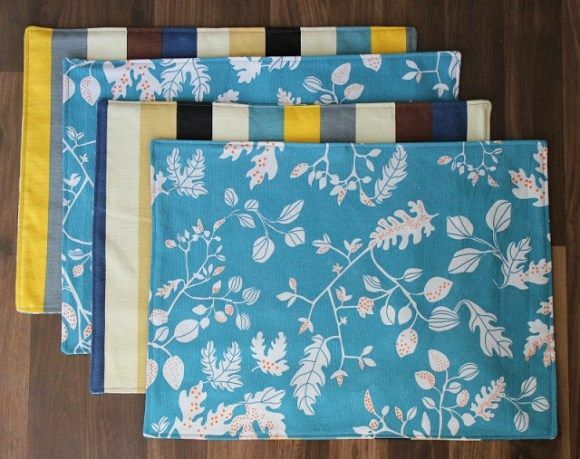 The more diy throw pillows you want to create the more fabric you’ll need. One of the best things about handcrafting your own diy pillows is the ability to make your accent as lavish, unique and fancy as you desire. 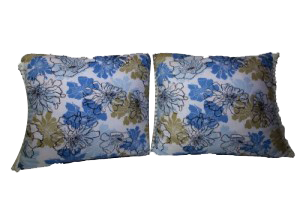 Beautiful decorative throw pillow set that you can easily create yourself for an elegant spring design look. An easy and fun diy home decor accent to make is a soap dish. Soap dishes are adorable and accessible items that can be used during any season. They’re especially great to create during the spring due to the different styles and colors you can add to them. One of the best types of spring soap dishes to craft are ceramic soap dishes. In order to accomplish this you’ll have to know how to do pottery and also have access to a pottery oven. You simply shape the soap dish however you desire, put it in the pottery own to cook. Then once it’s done you can paint whatever design you want to it. To make sure the soap dish has the essence of spring it’s best to decorate it with flowers, birds or nature themed images. 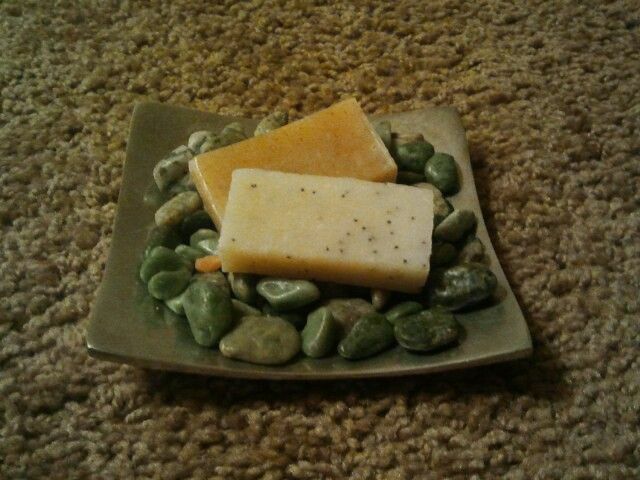 Other diy soap dishes you can create are wooden or stone soap dishes. 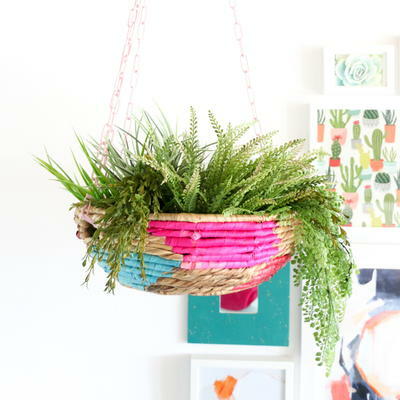 A lovely diy home decor accent to create this spring are hanging baskets. Hanging baskets are elegant home decor accessories that can add character and charm to your residence. They may seem simple or like an optional accent. However, topping a designed room off with a hanging basket can make the world of a difference. To truly add creativity to your home why not handcrafted a unique hanging basket you can call your own. All you need are the fabric choice you want your basket made out of, sewing needle, sewing thread and scissors. Once you have your basket ready simply hanging it in whatever area of your home you desire. It can be a kitchen accessory. It can be a closet door accessory. It can even be considered wall decor. Below are a list of different types of materials you can make a diy hanging basket out of. A fun and unique art project for adults when interior decorating during the spring is crafting placemats. One of the most loved areas in your home will be your main table. It’s one of the accents that brings life into your living quarters. How you design it is very important. The perfect accessory to add to it this spring season are placemats. Placemats can transformed a pretty designed table into a stunning piece of art. After you set your table with love and life perfectly for the spring season top it off with adorable, handcrafted placemats. To style your own diy placemat all you need is fabric, a ruler, a tracer, sheers and a few accessories such as buttons or ribbons. Cut out whatever shape you want your placemats to be. Then stitch a boarder around them. Now you can add whatever accessory you want to give it a custom, stylish look. A few diy accessories that help to create the aura of spring are tassels, buttons and beads. Of course whatever color scheme you decide to go with plays a major role in creating a spring design as well. A gorgeous example of how you can add elegance and style to your home with your own diy home decor shelves. 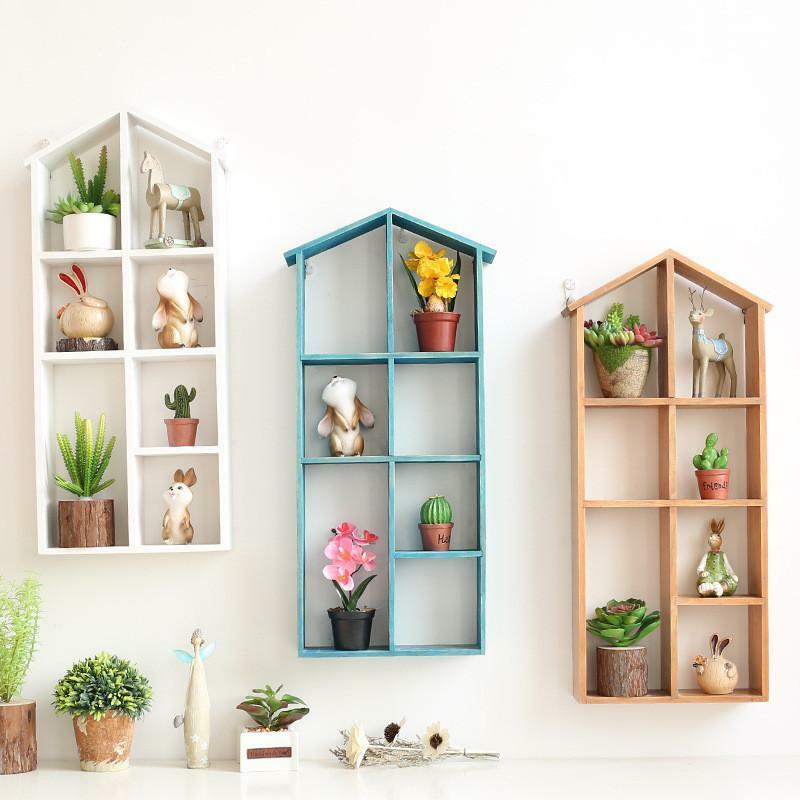 One of the best diy home decor ideas to utilize during the spring are creating your own shelves. Shelves are convenient and accessible additions that aids in designing your home. If you’re looking for ways to create extra space, or creative ways to add layers to your home use shelves. The thing is sometimes your home may not initially have that many shelves. This is where your diy and crafting skills come in handy. Simply purchase a few sheet of wood to add your own shelves to your home. You can add long shelves to your living room or a handful of smaller shelves to multiple rooms in your home. Once your shelves are added safely and ready to be decorated you can now add gorgeous spring home decor accessories to them. You can style a picture collage around your shelves. You can collect antiques and decorative accents to be placed on your shelves. You can even give your shelf a particular theme such as “under the sea”, “shabby chic home decor theme” and many more fun ideas. Before completing this task just make sure you take all precautious safety measures when adding the shelves to your walls. 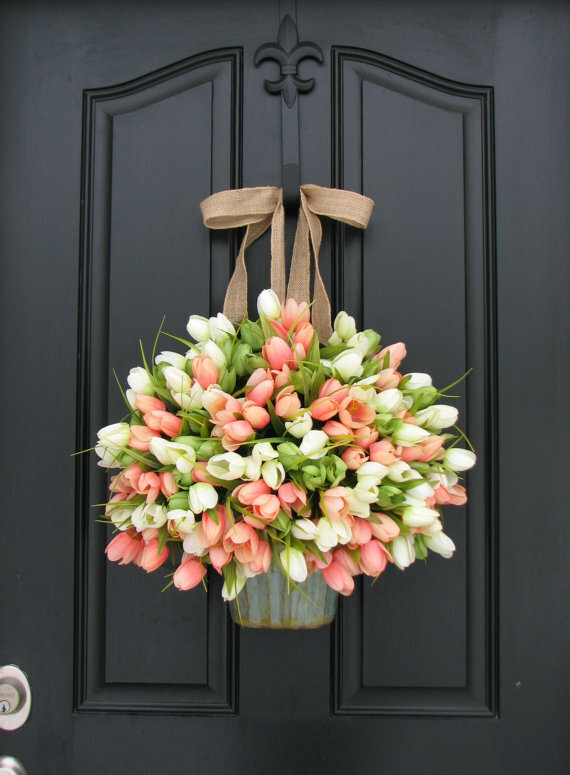 A popular spring home decor accessory that’s also great for diy crafting are door decor items. If you want to give your residence a beautiful entrance and welcome sign this winter season try creating your own door decorations. For example you can handcraft your own spring themed wreath. You can also go for a smaller door decoration such as a mini circular welcome sign that simply hangs on your door. The key isn’t which door decor item you decide to go with. The key is in the accessories you add to it. It’s all about the color combination and adorable pieces you add. The great thing about this diy home decor idea is how easy and fast it can be accomplished. It’s also perfect for diy decorating on a budget. It costs little to nothing to create your own artistic inspired door decor accent. Most of the items you already own can be redesigned into a hangable door accent. These 9 fun, easy and lavish diy home decor ideas are just the beginning. 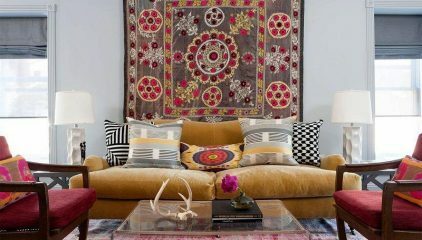 The amazing thing about diy home decor and handcrafted accents are their endless possibilities. There’s always a treasure to be made out of something. Keep this creative task up and running with unique, custom ideas of your own. 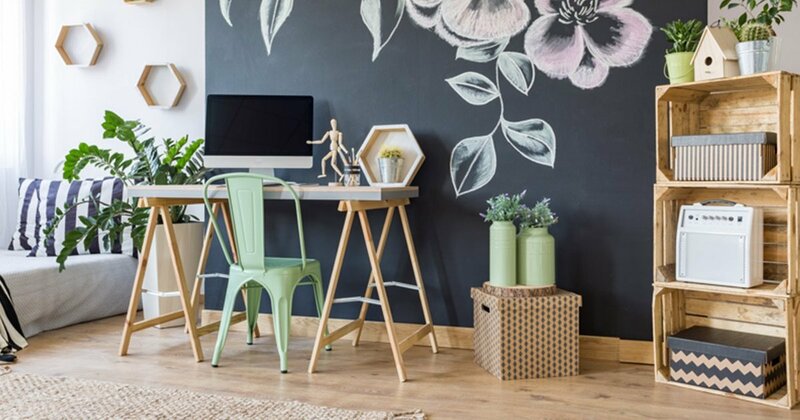 You’ll be surprised and amazed at what you can come up with as the perfect spring diy accent.